It has been nearly four years after the 2015 earthquake, and media reports about reconstruction of damaged buildings is mostly negative: compensation is too little too late, it has not reached the neediest, and the process is too bureaucratic. Indeed, only a fraction of the 700,000 buildings destroyed have been rebuilt with government help. Since the money is not enough, families are building small sheds so they can receive their third tranche. 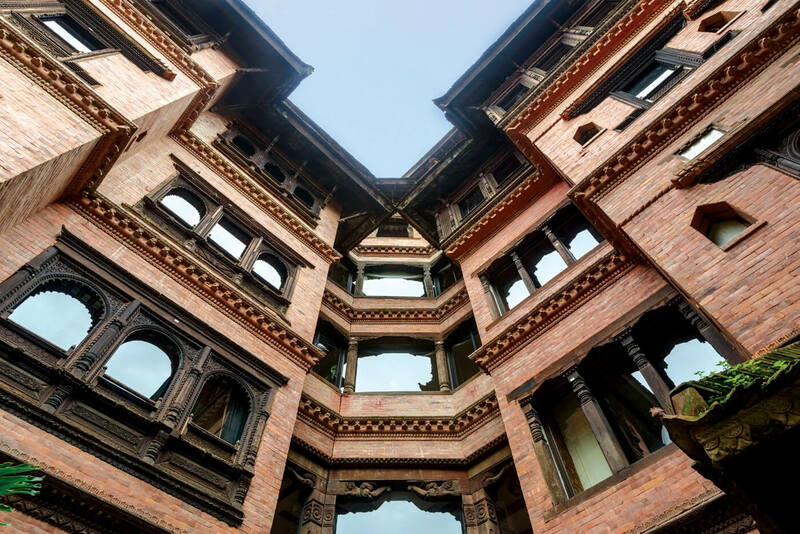 However, in Kathmandu Valley’s historic towns, communities have revived age-old traditions and craftsmanship to rebuild after the earthquake just like their ancestors did after every previous disaster. In fact, along with tourism, earthquakes have provided the opportunity to revitalise ancient art, architecture, traditional techniques for wood carving and metal work. “Earlier, it would not be possible to study the interiors of heritage structures, but the earthquake gave us the chance not just for building back stronger, but also for detailed research of how our ancestors knew about seismic resistant building designs,” says conservationist Alok Tuladhar. One of the most dramatic examples of this is the reconstruction of the three-storey Bhaidega Temple in Patan Darbar Square, which was razed in the 1934 megaquake, and had been rebuilt with a Moghul stucco dome. Reconstruction in the original Malla style had just begun 80 years later, when the 2015 earthquake struck. Nearby, the Char Narayan and Hari Shankar temples were reduced to rubble, and ancient pati (traditional rest houses) came down. Today, most of the damaged monuments have either been rebuilt or are covered in scaffolding (right). 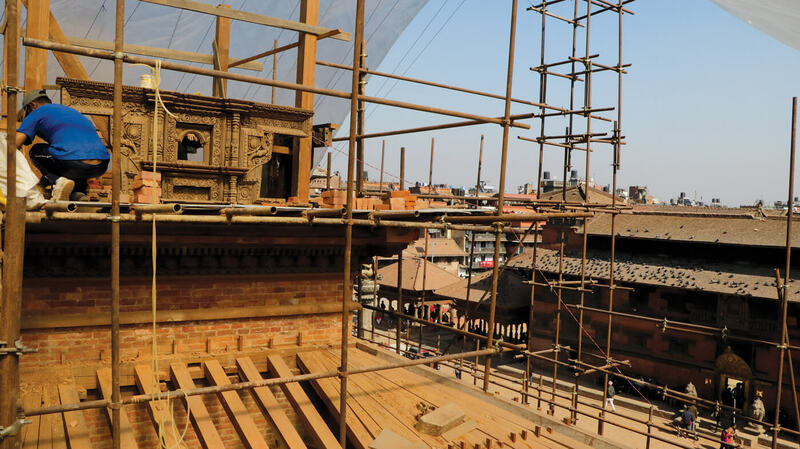 Leading Patan’s restoration work is the Kathmandu Valley Preservation Trust (KVPT), which was supervising Bhaidega and other reconstruction even before the 2015 earthquake. KVPT’s architect Rohit Ranjitkar says the earthquake four years ago provided the opportunity to learn more about traditional construction methods so they could be revived. In KVPT’s workshop in the Patan Darbar gardens, a dozen woodcarvers are busy with their chisels and mallets renovating damaged eaves and columns from the temples, and also carving new ones to replace missing originals. 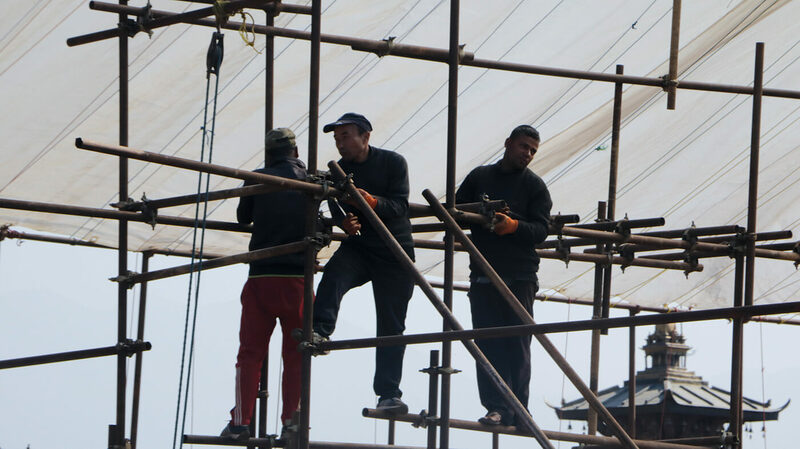 The descendants of famous artisans are carrying on their family professions and rebuilding after 2015, just like their forebears did after 1934, 1866, 1833 and other destructive earthquakes that struck Kathmandu Valley in the past. KVPT’s reconstruction philosophy is to retain as much of the original pieces as possible, so woodcarvers work carefully to graft pieces salvaged from the rubble, ensuring that the fresh carvings perfectly complement the darker brown hues of the original wood structure. One of the carvers, Pratap Shilpakar, takes a break and tells us, “I feel honoured and proud to contribute to help preserve our heritage, and to repair these precious artifacts that were carved by my forefathers.” Shilpakar was working in his personal handicraft shop in Bhaktapur before being recruited by KVPT for the intricate task of repairing the originals. 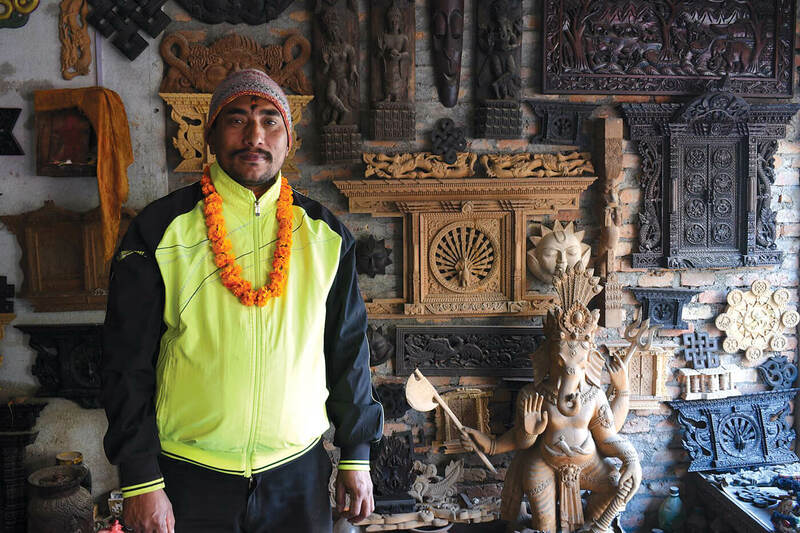 Shilpakar (whose surname means ‘craftsman’) admits he has learned more about ancient styles and techniques while reconstructing Patan’s monuments — skills that he can incorporate into his handicraft business, now that tourism is on the rebound. Reconstruction has also been a financial boost for carvers after plummeting business post-earthquake. Besides woodworkers, the earthquake also helped revive artisans who worked on bronze as they repaired the gajur pinnacles damaged in 2015. Masons and clay workers who specialised in traditional dachi appa bricks have also got new business after the earthquake. Studies prove that structures which had been maintained regularly before the quake suffered minimal damage. 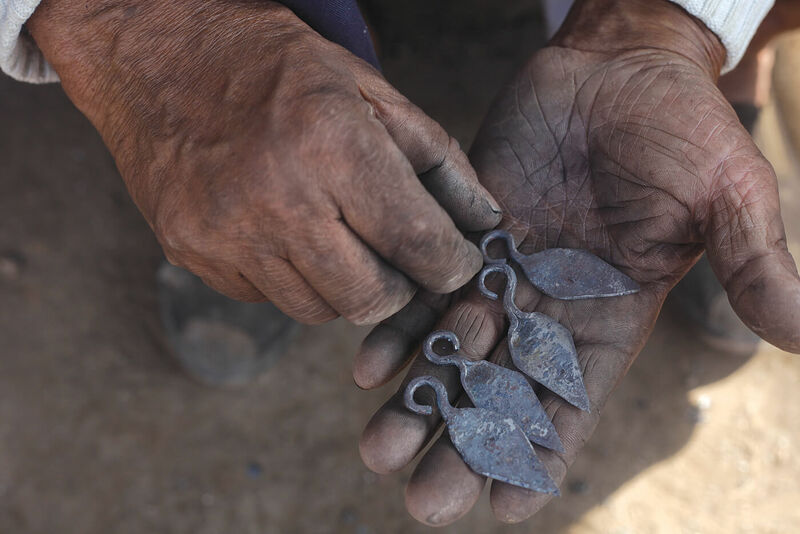 Conservation is therefore an ongoing exercise, and important not just for a regular flow of skills amongst artisans, but also safety in preparation for the next big earthquake. Of the ancient kingdom towns of Kathmandu Valley, Patan and Bhaktapur have made the most progress in reconstruction because of the involvement of local communities and the activism of organisations like KVPT. It is in Kathmandu, the seat of the national government and led by a weak mayor, where the progress in rebuilding monuments have been slowest. The government has waited four years to decide on the reconstruction of Kasthamandap and Rani Pokhari. It blundered in trying to rebuild them with concrete, ignoring traditional design styles. 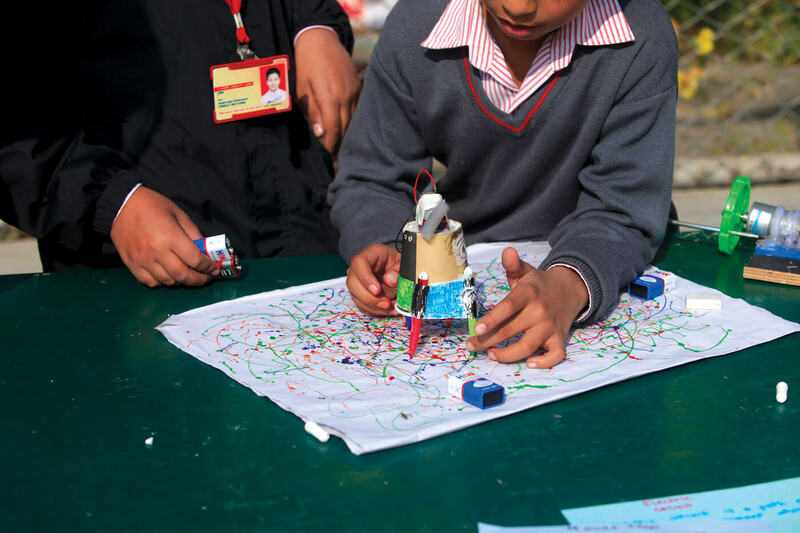 Rivalry among donors like China and the United States which have vied for high-visibility reconstruction projects in Hanuman Dhoka and Darbar School have also put additional pressure on the municipality. In stark contrast, Patan has not just rebuilt inner-city tanks like Pimbaha Pukhu, but the reconstruction has revived the entire neighbourhood, attracting new homestay tourists and giving locals an open space with a relaxing ambience. Despite new tools and automation, Nepal’s artisans have gone back to traditional methods to rebuild monuments destroyed and damaged in the 2015 earthquake. In the Chwechhen neighbourhood of Patan, detailed carvings adorn almost every piece of architecture. A crumbling old temple in the square has now been lovingly and painstakingly restored to its former glory, using old techniques, raw materials and tools. 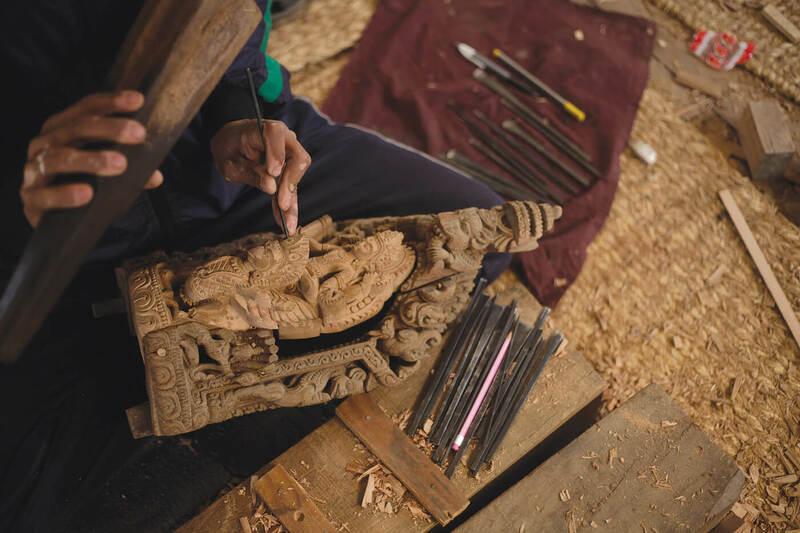 Dharma Dutta Bajracharya (pictured, above) is one of the woodcarvers, and has been chiselling figures of deities into wood since he started as an apprentice to learn the craft from his father at age 13. Woodcarvers like Bajracharya lost much of their business when the earthquake and Indian Blockade reduced tourist traffic to a trickle. Luckily, the disaster turned out to be boost because of the demand for reconstruction using traditional techniques that generations of woodcarvers have passed down to the present day. 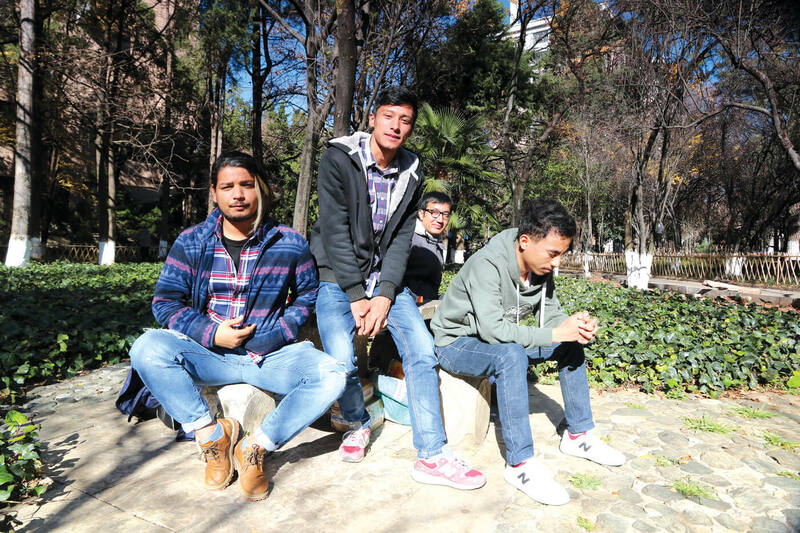 The eldest of four brothers in his family, 43-year-old Bajracharya’s upbringing was tough. “Money was tight so you either learnt the trade or you went to school, not both,” he recalls. He was the only brother interested in woodcarving, but he now fears that these skills will end with his generation because his son is not interested in carving. 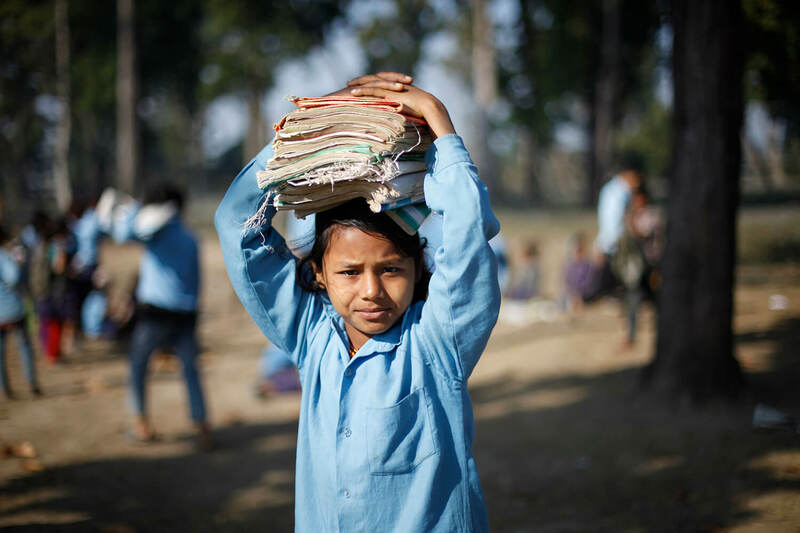 Bajracharya says these are skills that you cannot just be trained for, they need to be learned from a very young age. It is not just the skill and craft, he adds, but a whole culture of devotion that imbues a piece of wood with divine attributes. Younger children in the neighbourhood now wear smart uniforms and go off to school every morning. Few have time to learn the old crafts, and it is not taught in school. Bajracharya admits he wants his son to be happy, and perhaps it is just as well he does not get encumbered with a dying profession. With all the rebuilding around the corner, and Visit Nepal Year 2020 reviving hopes of tourism, Bajracharya has reason to be hopeful. Earthquakes may have preserved Kathmandu Valley’s culture in the past, but recent times it was tourism that kept the craftsmanship alive. One of the prime examples of this is Dwarika’s Hotel in Kathmandu that is more like a museum of Newa devotional art than a hotel. 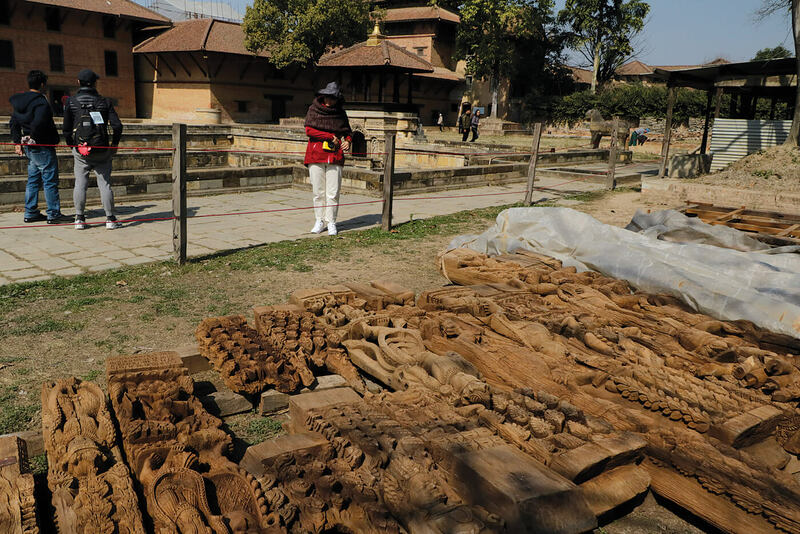 At the peak of Kathmandu Valley’s heritage destruction in the 1970s, founder Dwarika Das Shrestha roamed the city streets salvaging carved windows, columns and eaves. As the city itself turned into concrete, Shrestha embedded the priceless elements into a new hotel that started in 1977. Today, the award-winning hotel is an example of how tourism can help preserve heritage. Shrestha also employed local artisans to carve extra windows and doorways and thus kept the tradition of woodcarving alive. Along with collected woodwork, carpenters created the hotel’s furniture, traditional brick-making skills were used for terracotta work. Today, many more Kathmandu hotels, even private residences, have emulated the Dwarika’s model of preserving traditional motifs.